The folding moped mod. R70 is powered by a lithium battery electric motor. It reaches a speed of up to 40 km/h and has a 50 km travel range measured under standard use conditions. The electric moped R70 weighs 36.2 Kg (battery included), but it can be reduced to 24.7 kg by simply removing the battery (which takes one second to do) making it easier to carry [photo]. The scooter R70 model comes with a LiFePO4 battery, which is the best on the market for electric vehicles. Given the same weight, a LiFePO4 battery can store at least 4 times more energy than a lead battery. Mod. R70 requires little maintenance. This is particularly important when used as a work tool. It’s very easy to use even for those who normally don’t drive two-wheeled vehicles. It does not produce odours and does not have overheated elements that may cause discomfort or damage the place where it’s stored once folded. There are often tax benefits or incentives to promote the purchase of electric vehicles. Sometimes, electric vehicles can circulate in the areas that are closed to motorised traffic. 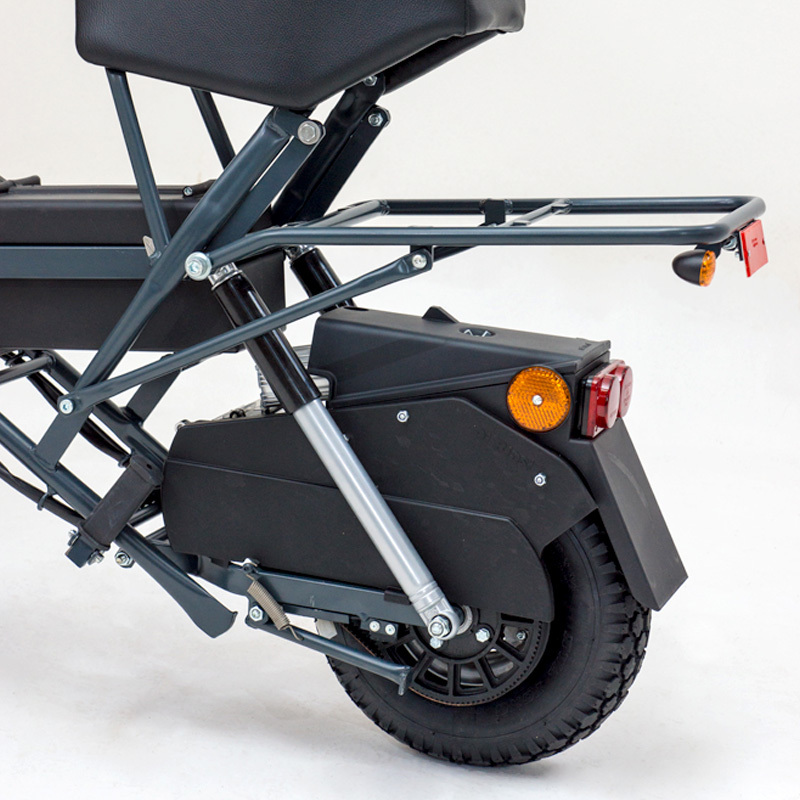 Upon request, the R70 moped can be equipped with a handy rear basket (26 x 39 cm), which folds automatically with the rest of the moped and does not increase its bulk when folded.